You would have thought LOST the series would have died quietly by now. Well, maybe it has, but the theories have not. 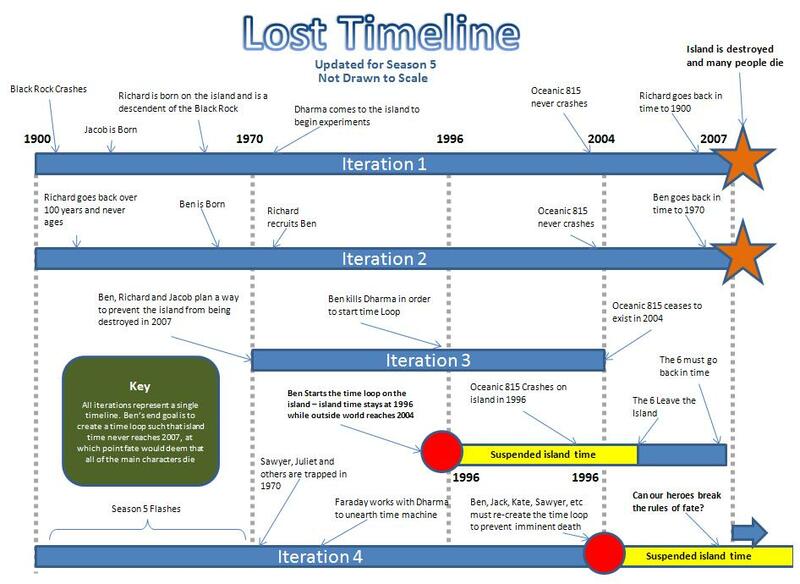 The time loop theory site seems to have been created for the express purpose of tracking the time-travel theory behind LOST. Up until Season five, their main theory seems to have been successful in explaining a number of idiosyncrasies of the show. Season 6 seems to have thrown a wrench in the works, but this post seems to have that covered as well. Interesting, maybe not something I would readily subscribe to, but interesting nonetheless. The original theory, depicted below.